How long can I go on watering my vegetable garden only with saved and collected water? That includes rain water, as well as any water saved from rinsing produce and mugs with unfinished coffee. Thanks to the rain a couple weekends ago, I was able to collect about 290 gallons of rain water (before it rained, I drained the water out my full rain barrels into whatever empty containers I had on hand — plastic storage bins, camping coolers, buckets, etc. With one 4 ft x 8 ft square bed in a cool season, I’m guessing my water collection will last me 4 months. No calculations went into that guess, I just pulled that number out of thin air. We shall see. 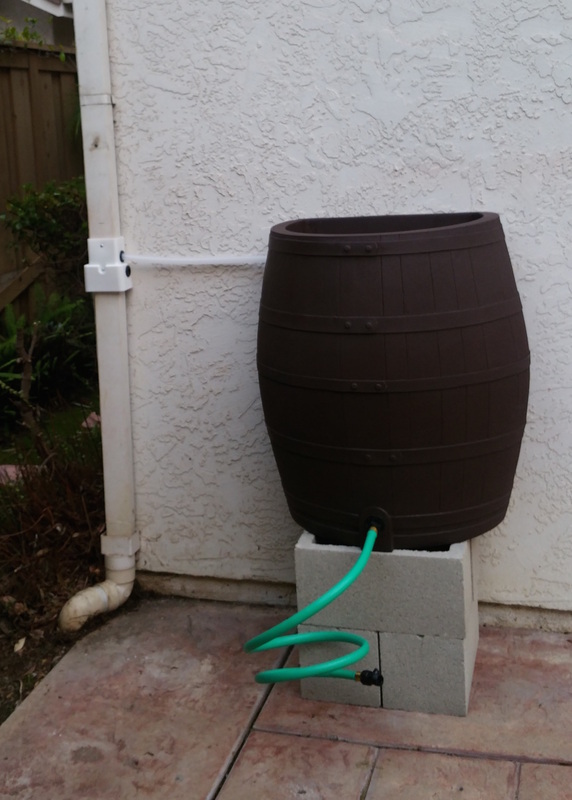 I’ll also be on the lookout for more ways to collect garden water from household tasks. Oh! I just thought of another one: save the water from boiling eggs. Any other suggestions for ways to reuse and save water for a veggie garden?